This year I decided we’ll have red wine with our Thanksgiving dinner. In the past, I’ve usually opted for whites and, indeed, have recommended them unabashedly to our friends. And if you absolutely need to have whites or if you or any of your guests positively eschew reds (you know those red-wine induced headaches), indulge yourself. Go for a good Riesling or a Pinot Blanc from Alsace, maybe even a more fruity white from the Loire. Or why not just open that bottle of Champagne you’ve been saving for a special occasion. After all, it is Thanksgiving. Just make sure that the whites you choose have enough flavor and acidity to stand up to the food. But for me this year, it’s RED. I’m opting for red wine this year because I’ve realized that we’re eating more than just turkey. There’s the stuffing with sausage, and herbs, and nuts, and maybe even fruit. (Ms. Stewart has been pushing those dried cherries for years.) There’s the gravy. There’s the sweet yams and sometimes even candied sweet potatoes, and of course, we can’t forget the Brussels sprouts. And what if there’s wine’s most difficult culinary foe: the artichoke? It makes almost any wine bitter. Now perhaps you see why choosing a red that goes with Thanksgiving dinner takes some thought. First off, we want a wine that will work well with both the dark and the white meat, one that will support the former yet not overwhelm the latter. We also want a wine that will fit in with all those flavorful trimmings. Consequently, it should have sufficient body (alcoholic strength) to stand up to the meal’s many flavors, but not be so full bodied that it declares victory over the palate. It should have adequate fruit so that it complements the meat as well as the side dishes, but not be too fruity or sweet so that any sides like green vegetables taste relatively bitter (or that you think Aunt Betty’s cranberry sauce found its way into the your wine glass). Moreover, it should have mild tannins to support the wine’s fruit and sufficient acidity to cut through the fats. Finally, it should be so well structured that as its flavors linger on the palate, perhaps with a hint of spice, you give thanks for the winemaker. Although finding an appropriate red wine for this holiday meal may sound like a mission impossible, it really isn’t. It’s just a matter of some time and thought—a small effort compared to what you’re probably already doing to make your guests feel welcome and comfortable around your table. For this tasting, we selected eight wines and tasted them all, in increasing order of alcoholic strength, first without any food and then again with turkey, stuffing, cranberry sauce, and green beans. Garnet in color, this Veneto red offers cherry aromas on the nose. It’s relatively light bodied with straightforward, bright black-cherry flavors. There’s a hint of caramel on the lingering finish. Given the price, it’s an excellent value. 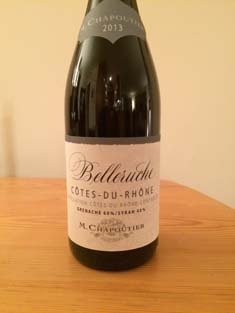 Although pleasant enough on its own, we all found this wine too light with the turkey. Light garnet with orange hues, this Chianti Riserva, not to be confused with a Chianti Classico Riserva, has an earthy nose with hints of wild mushroom and some tart cherry. On the palate, it’s light to medium bodied with tart blue-plum notes. 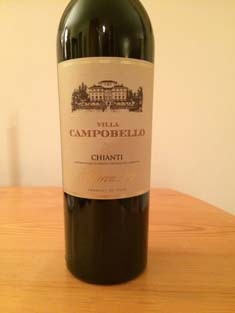 It’s well structured with soft tannins and a nice balance of fruit and acidity. The finish is long and dry with notes of cedar. This wine calls for food. It was a nice complement to the turkey and seemed to accentuate the cranberries in the stuffing. Translucent ruby in color, this Rioja has notes of cedar and red berries on the nose. 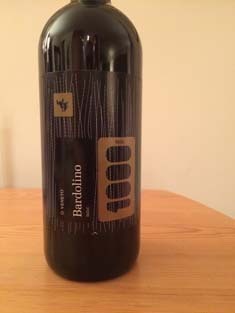 Light, verging on medium bodied, it’s nicely structured with supple tannins and has a smooth mouthfeel. On the palate, it displays toasted oak and black-fruit flavors. 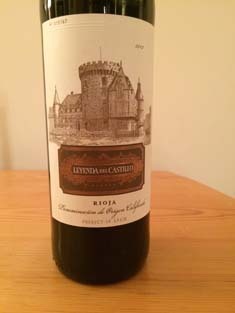 It has good length, with dry raisin notes on the finish. It went well with the meal. 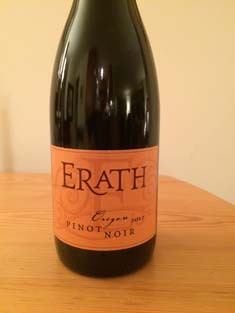 Light ruby in color, this Oregon Pinot Noir has an alluring fruit-forward nose with loads of raspberry notes. Medium bodied and well structured, it’s pleasantly dry with restrained raspberry flavors. “Lovely,” commented one taster after the first sip. The wine lingers on the palate and finishes with tart fruit notes. The wine worked very well with both the turkey and the sides. Ruby in color, this coastal California Pinot Noir has sweet light-caramel notes on the nose. It’s packed with clean, bright berry flavors. It’s well structured with good acidity underpinning the fruit. Although pleasantly dry, it coats the palate with fruit flavors that follow through to the lingering finish. This wine was superb with the meal. 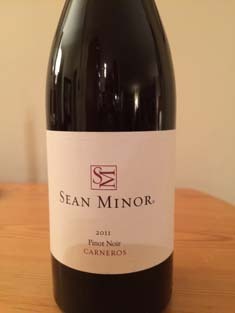 This Pinot Noir is light-garnet in color. It has a fruit-forward, strawberry nose. 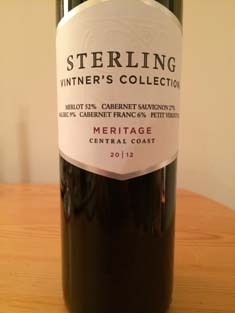 It’s medium bodied, beautifully structured, and offers plenty of baking-spice and berry flavors. The finish is long and dry, with lingering notes of tart berries. Definitely one of the stars of this tasting, it was even better with the food. This classic blend of Merlot (52%), Cabernet Sauvignon (27%), Malbec (9%), Cabernet Franc (6%), and Petit Verdot (6%) is garnet in color. The nose is wonderfully complex with distinctive notes of berries, pencil shavings, and dried plums. Full bodied and elegant on the palate, it delivers rich black-cherry flavors enveloped in smooth tannins and supported with good acidity. It has a long finish with notes of plum. Excellent with the food, it seemed to brighten the flavor of the turkey. Another star of this tasting. This blend of Grenache (60%) and Syrah (40%) is ruby in color. It has a pretty nose with hints of woodsy fruit and crushed black pepper. On the palate, it’s medium bodied and displays a chalky minerality. 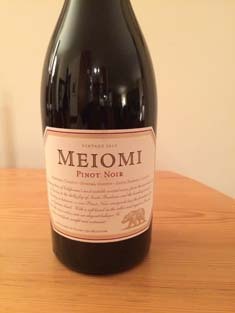 Well structured, it offers black-fruit flavors with hints of black pepper. It has a nice, dry, somewhat tannic finish, ending with berry notes. Another winner with the food, which benefited from the wine’s balanced acidity.